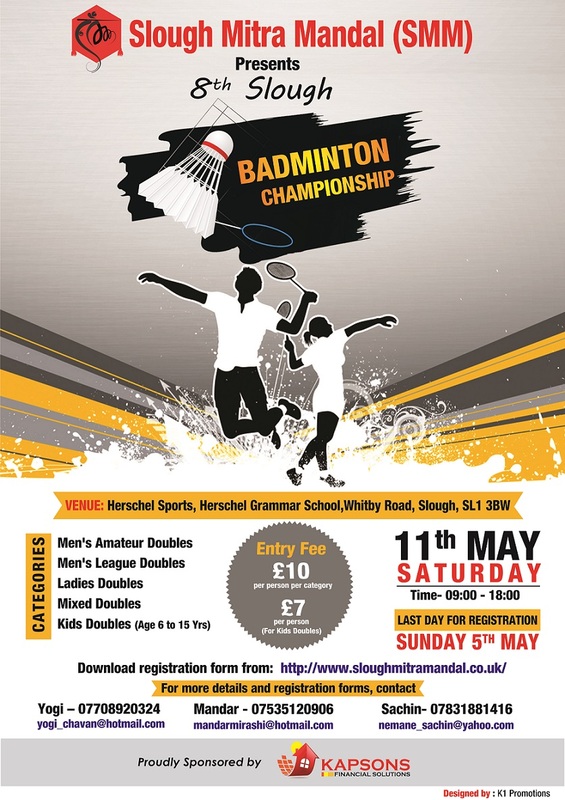 Slough Mitra Mandal is proud to announce its 8th Badminton Championship being organized in Slough, Berkshire. Entry Fee: £10 per person per category. The championship is OPEN TO ALL!!! !